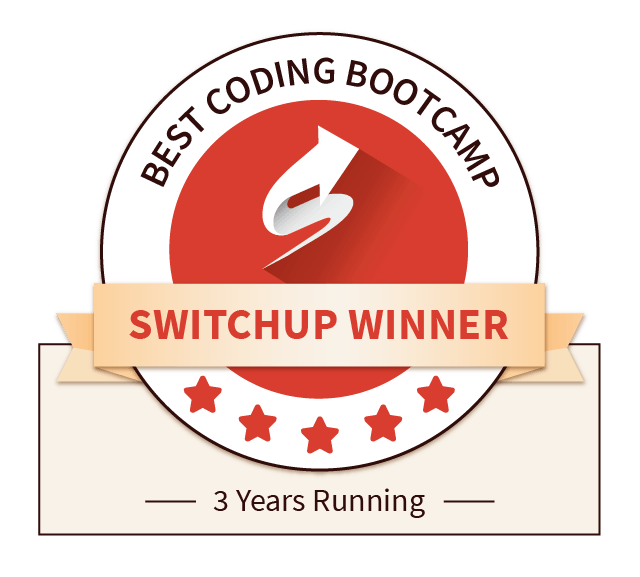 We're honored to have won the SwitchUp 2018 Best Bootcamps Award. Thanks to our 750+ alumni for believing in us! "the program fosters a sense of camaraderie that extends past your immediate cohort and into previous graduating classes. The alumni group acts as a support base, whether your are looking for jobs, advice, or a coding solution. It's very much a community that helps one another, and one that I am extremely happy to be a part of!" "The outcome from Launch exceeded my expectations. I was able to learn not only how to program, but how to motivate myself and push myself beyond what I thought I was capable of. More than that, the career services is excellent and I landed a job shortly after graduation. WOULD RECOMMEND." "The Launch instructors are great and super invested in the program and your development. I expected them to 'turn off' at 5 but they were always willing to stick around and answer questions. The curriculum is intense, but I could tell that the companies I interviewed with were impressed by the knowledge and final project I had as a result of Launch. A+ program. I was extremely skeptical through the entire experience and am beyond thrilled with the result." Our gratitude to our hard working alumni can't be put into words, so we're taking action. Our mission is to help as many people as we can reach to fall in love with a career in coding. To that end, apply by October 8th, and receive $2019 off of your tuition. Become a New You in '19. Change your career, and change your life, like so many of our alumni have done before. You can learn more about the scholarship and our upcoming cohort here.